RecruitFirst, grow your company with us! The business environment today is a highly competitive one, which is ever evolving. Having the right human resource business partner with a strong network of consultants and candidates has become key to the success of industry leading businessess. RecruitFirst is the fastest growing human resource consultancy in the Asia Pacific. Our mission is to Help People Find Better Jobs and Help Organisations Find Better People. We live by this mission by ensuring that the best candidates and employers are connected via the rigorous recruitment processes and extensive database that we are continuously developing. RecruitFirst offers an sexpansive array of human resource solutions and network. Be the first to recruit with us and start realising the value-add that we are able to provide to your organisation! Our approach to delivering these solutions stem from two key words – Going Beyond! We have established a comprehensive recruitment network as part of the HRnetGroup. With operations across 13 cities in the Asia Pacific - Singapore, Kuala Lumpur, Bangkok, Hong Kong, Shanghai, Beijing, Guangzhou, Shenzhen, Suzhou, Taipei, Tokyo, Seoul and Jakarta, we have the capability to help you recruit across a wide variety of industries and connect you with the right people to meet your organisation’s needs. This geographical network gives us the strategic advantage of acquiring the best candidates to satisfy the human resource strategies of multinational companies. 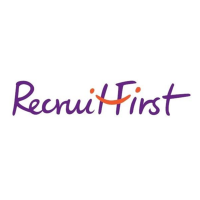 RecruitFirst has developed a solid reputation known for our passion in fitting the best people to the right organisation. In addition, with this large network of consultants, we are also able to provide for all your human resource needs, including temporary staffing, contract staffing, executive search, payroll services, global placement or management consultancy.